That’s a pretty strong statement and hopefully after reading this post you will understand the importance of good quality gelatin in your diet. 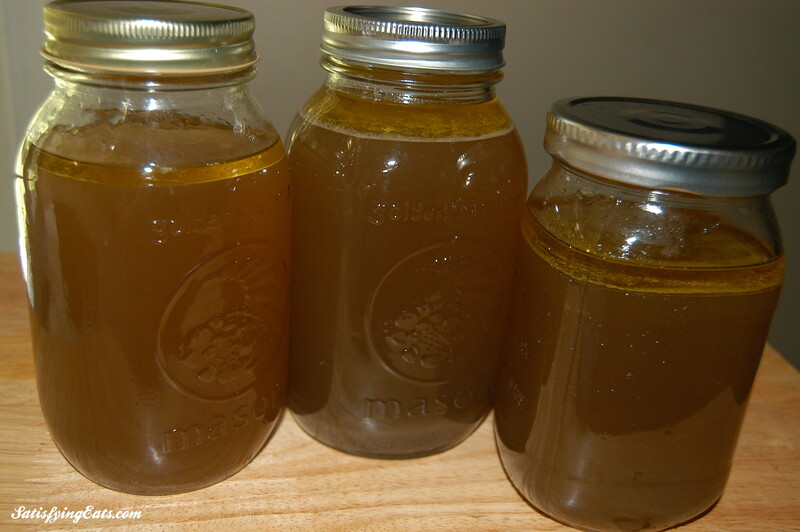 I am sure you have noticed that your homemade bone broth thickens and resembles jelly after being refrigerated. That gelatinous goo is wonderful and nutritious gelatin. Gelatin is essentially cooked down collagen from animals such as cows, pigs, fish, and chickens. This may sound unappetizing, but it’s SO good for you! Gelatin is a protein that makes up about 50% of the protein in our bodies. (Source) Throughout history, traditional diets have included large amounts of bone broth, much more than that of today’s Western diet. Recorded history reveals bone broth was used to treat asthma, help with symptoms of the cold and flu, and was used to support one’s digestive system. (Source) Our current generation considers the bones, ears, or feet of an animal to be unclean or undesirable, but the truth be known, these parts of an animal contain an abundance of nutrients, minerals and nourishment. Contrary to popular belief, hoofs, horns, hair, feathers or any other keratin material are not a source of gelatin. The ideal source of gelatin comes from making your own bone broth, or from a high quality gelatin powder obtained from pastured animals. Don’t be tempted or compelled by the TV commercials to purchase collagen creams for your skin. Did you know that collagen is too large to be absorbed through the skin and it must be ingested? If you want youthful skin, healthy hair, and strong nails, you must add gelatin to your diet. For the past year, I have used it almost daily. I started taking it as a supplement while I was pregnant with my second son, Connor. Gelatin is the ONLY thing, besides my daily coconut oil, that could have caused the varicose veins on my legs to shrink in size by the end of my pregnancy. Also during this time, a large ganglion cyst that had been on the top of my foot for over a year just…went way. Coincidence, or was it something in my diet?!? I am most certain it was from the gelatin I had added to my diet. The more and more I learn about gelatin, the more amazed I am and believe that EVERYONE should be supplementing their diet with gelatin. Because gelatin is essentially collagen, it helps build connective tissue and is great for skin, nails and hair. It encourages your body to make more collagen. It is great for bone and joint health and can improve arthritis. It’s a great way to add good quality amino acids to your diet that the body can actually use. Gelatin acts as an anti-inflammatory agent when consumed along with other foods. The amino acids in gelatin are easily absorbed and are great for when you are sick. Although gelatin is a protein, it is not a complete protein. It lacks an essential amino acid, tryptophan, and contains only small amounts of cysteine. According to Ray Peat, this may not be a bad thing. I HIGHLY recommend you read his work HERE on gelatin . He goes into great depth about the different amino acids that our bodies need, and how important gelatin is to balance our modern diet. (Other sources: Weston A. Price Foundation) All of the above reasons are why REAL chicken soup, made with REAL, pastured chickens (and even chicken feet), is great for those who are sick. Campbell’s chicken soup just won’t cut it! How do I get Gelatin into my diet? The great thing about gelatin is that it can be added to your diet in many ways. It should be consumed on a daily basis. This is easy to do through the consumption of bone broths and high quality gelatin powders. Place all ingredients in Slow Cooker. Cook on low for 8-10 hours (or longer). Strain and freeze stock for future use. Remove meat from bones and use in a recipe. Put bones back into the Crock Pot and duplicate seasonings and water Bone Broth. Cook on low for 12-24 hours. 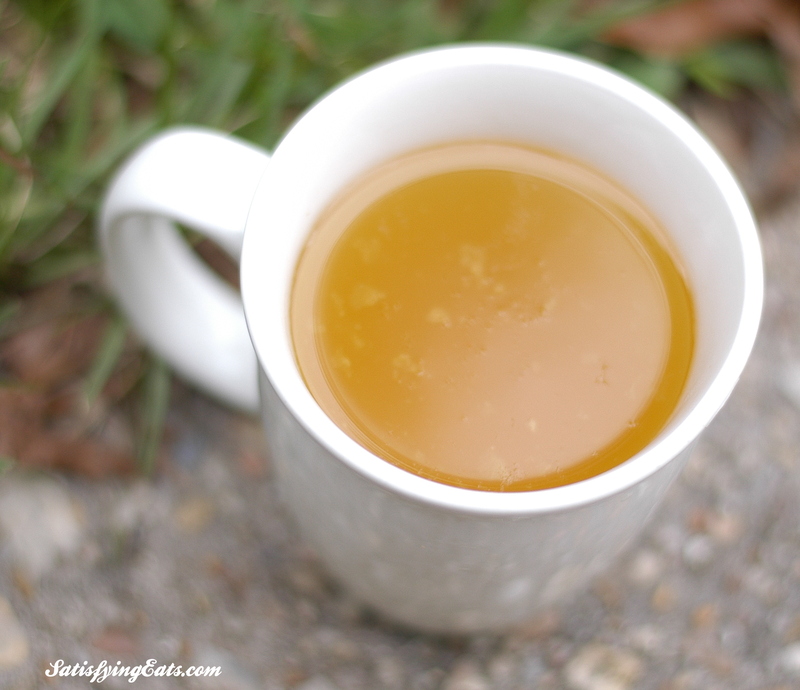 Simply drinking bone broth is an excellent (and inexpensive) way to get the healing properties of gelatin. When properly prepared (it’s not hard), bone broth contains wonderful gelatin and readily available minerals that the body can absorb and use. Calcium, magnesium, phosphorus, silicon, sulphur and other trace minerals are found in abundance in bone broth. “It contains the broken down material from cartilage and tendons – stuff like chondroitin sulphates and glucosamine, now sold as expensive supplements for arthritis and joint pain.” SOURCE Here is link to my recipe for Homemade Bone Broth. Not only does it taste DELICIOUS and is inexpensive to make, but it is full of all the wonderful collagen that our bodies need, and it is easy to assimilate. The lemon juice or vinegar is necessary to pull out the minerals from the bones to enrich the broth. Also, feel free to add ginger and whole cloves of garlic for an extra healthy broth. I make bone and chicken broth almost every week. From one chicken, I get almost 1 gallon of broth. (Two batches from the same bones.) I pour it into glass jars and store in the refrigerator or freezer. The fat from the chicken floats to the top and forms a barrier, much like that of adding wax to the top of preserved jellies. I have kept it up to 2 weeks in the fridge and use it for many of my recipes. My favorite is Taco Soup from the blog, or Chicken & “Rice” Soup from my Cookbook. When I was sick a few months ago, I didn’t have any bone broth already prepared. I refused to drink the stuff in the can, so I had to wait for a batch to cook. After that, I swore I would always keep it on hand. Also, what a lovely gesture to bring homemade bone broth to a sick friend or family member! Consider having a cup of warm broth before bed. Serving Size: The amounts of gelatin will vary depending on the length of time you cooked your bones, but with a cup or two a day, you should receive the benefits of the gelatin and other minerals. Cost: Almost FREE if you already have purchased a chicken for your family to eat and use the leftover bones for the broth. 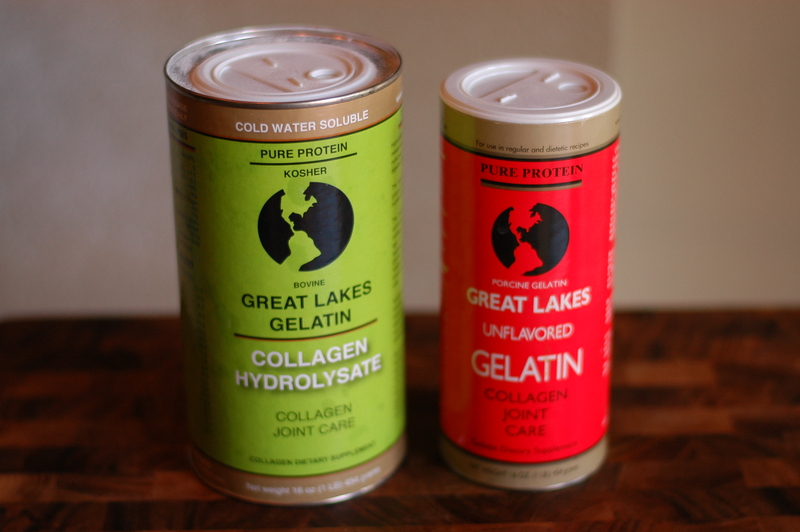 This gelatin easily dissolves in cold, warm or hot liquids and will not congeal. This makes it more versatile to add to many foods or drinks. Hydrolyzed Collagen is more easily digested because of its low molecular weight. There is no flavor and little to no smell. This gelatin is a certified Kosher product. I primarily use the hydrolysate gelatin along with virgin coconut oil in my World’s Healthiest Shake, Melissa’s Mocha Frappuccino, and even my Chocolate Frosty. Cost: When purchasing a single can, it cost about $0.35 per tablespoon. It’s even cheaper if you purchase in bulk. This gelatin must be dissolved in warm to hot water and results in a thick or jellied consistency. This gelatin is certified Kosher and made from beef sources. Make gummy treats for your kids. Can also be added to shakes, but you need to blend it thoroughly to ensure it doesn’t clump. Cost: About $0.32 per tablespoon if purchasing 1 can from Amazon. Recipe coming up using THIS gelatin. This gelatin has the same properties as the Kosher Unflavored gelatin above, except that it is not Kosher and is made of pork. Which gelatin should you buy?? I personally have both types of gelatin, the type that gels and the type that does not (hydrolysate gelatin powder and the unflavored gelatin). 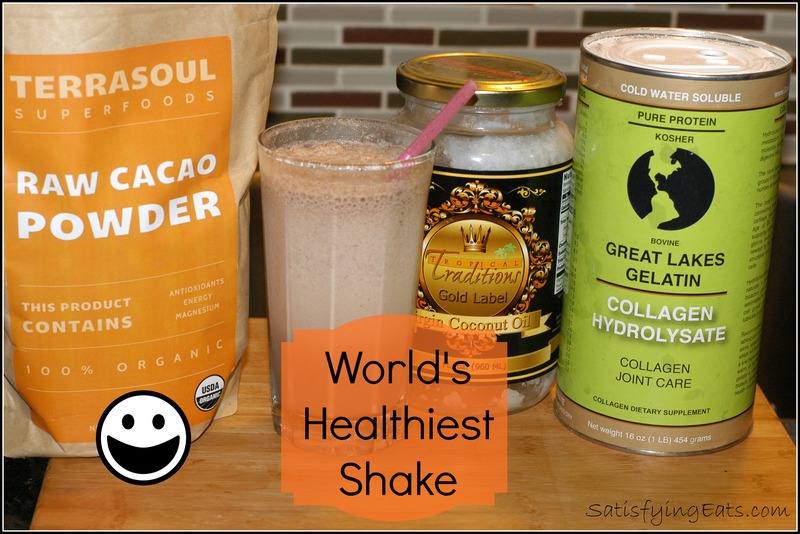 If you can only purchase one of the powders, plan on putting it in your shakes or coffee, and don’t plan on using it in recipes, I would purchase the Hydrolysate Gelatin since it dissolves very easily. If you can only purchase one of the powders and want to use it to create recipes, pudding, etc., I would purchase the unflavored gelatin, either Kosher or the regular unflavored gelatin. You can still add it to your shakes, you just want to sprinkle it over your liquid to let it dissolve and then swirl it around before blending and blend well. Some people still report clumping, so this is the reason why the hydrolysate powder is still best in shakes. However, the regular kind will work. The regular gelatin is the first type I purchased, since I could use it in all of my recipes and shakes. If you get both types, I would add the hydrolysate to your shakes and the regular unflavored to your recipes that require thickening. This is what I currently do. NOTE: All 3 of the gelatin powders through Great Lakes are unflavored. 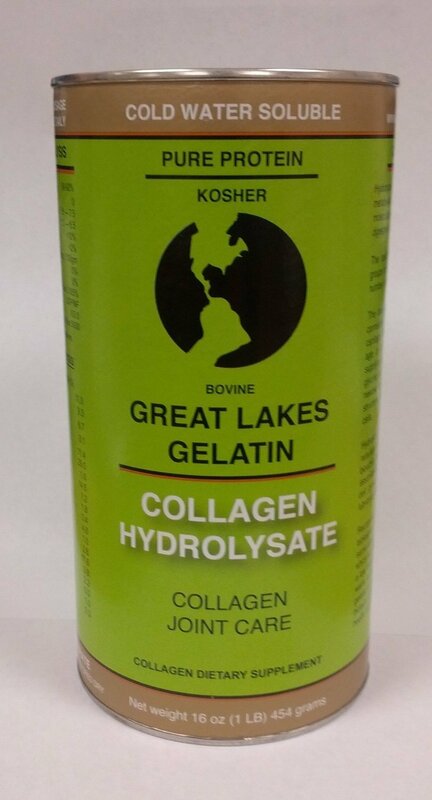 Collagen Hydrolysate – 6 Pack $92.10 ($15.35 per can) which equals $.24 per tablespoon. Beef Gelatin – 6 Pack $79.50 ($13.25 each per can) which equals $.21 per tablespoon. Consider going in with friend to get a better deal! I have just touched the TIP of the iceberg when it comes to gelatin. 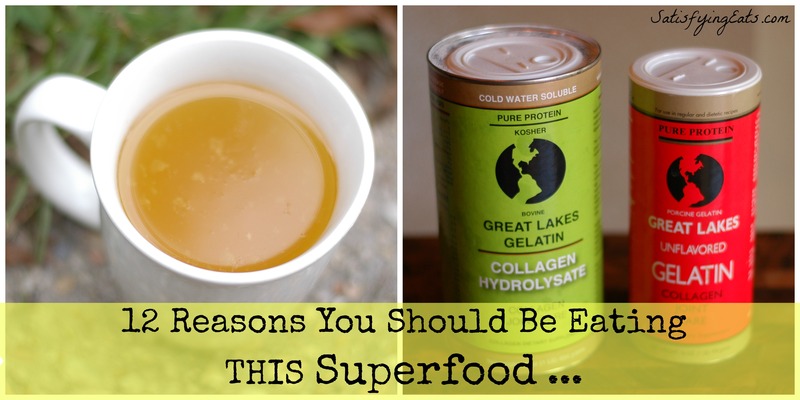 The take-home from this post is to get gelatin in your diet…your body will thank you! Do you consume gelatin on a regular basis? What improvements if any have you noticed? Leave a comment and let me know! Disclaimer Some of the links contained in this post are Affiliate Links. If you make a purchase through the links provided, I will receive a small (very small) commission which I will use to buy more ingredients to create more recipes. This is at NO cost to you! I have chosen these products not to receive a commission, but because I think they are the best on the market. These are ingredients and equipment that I actually use. This commission helps compensate me for my time, and justifies the hours each day that I spend in the kitchen creating recipes, on the computer posting blogs, and sharing helpful information with you. By clicking on any of links in my blog, you are helping me continue doing what I LOVE to do! Also, when purchasing items from Amazon, consider clicking on THIS affiliate link. Anything you purchase within 24 hours after clicking on THIS link, I will receive a small commission as well. Thanks again for all of your support, it is greatly appreciated! More great recipes to come! This is cool info! I bought some Great Lakes gelatin special to make this stevia-sweetened marshmallow recipe I’d found online somewhere and the smell of the gelatin as it was mixing up grossed me out SO bad!! But I still have this big thing of it! Mine is the porcine one, so I thought maybe it was just because it was from pork? Anyways, I will try some of your suggestions and see if I can work it into my diet somehow! I really want all the benefits of it!! 🙂 And I really thought I was buying beef gelatin until after I got home from the store :P. Haha. I’m so glad I found this. I was just wondering why gelatin was good for you. My husband has Crohn’s disease and I’d love to see him be cured by eating super foods like this! I’ve been using the great lakes gelatin for about 2 weeks now. I bought the kosher beef that gels. I drink it in my cup of hot tea in the morning. I really can’t tell that much of a difference in taste. Mostly texture just a little thicker on the tongue but nothing that is any kind of problem I kind of like it! I dissolve it first in a little water then add it to my tea that has been steeping. I even slipped it into my hubbys tea for 2 days before I told him and he never knew! I’m going to buy some of the green label next to try out. Thanks for the great article! 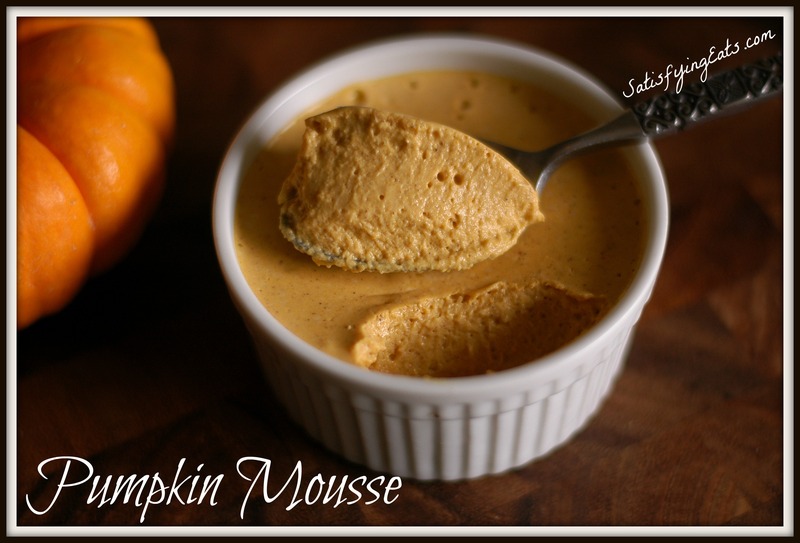 You have pumpkin mouse,do you think it would be hard to change the recipe for chocolate mouse sweetened with stevia? I love the “healthiest shake”. Mine is similar,except i use freshly made coconut milk from a brown mature coconut. Cocoa powder and stevia. Not too much as i like the slight tartness. Some cinnamon as well. Fresh coconut milk shake..man,im drowning in my saliva. 🙂 Your boys are cute. Lucky to have a Mum who is trying to keep them healthy!! Feed them codliver oil now,and they will have no problem with teeth crowding and jaw development as they grow. Thank you for the great post! I have been gradually adding gelatin into my diet by making home made fruit snacks with juice or kombucha. I have been on a (mostly) paleo diet for almost a year now and the health benefits are amazing! I wanted to up my gelatin intake so I finally bought Collagen Hydrolysate and now I am just upset I did not start sooner! Its SO interesting to me that you had a cyst disappear because I have one on my hand that has been there for years and I just started noticing that it looks much smaller and flatter! Now I know why 🙂 Do you add collagen to your kids drinks as well? on most of the subjects you write concerning here. Again, awesome web site! Hi! Do you recommend taking collagen regularly while pregnant?? Jo, I took a daily with my second pregnancy and did great. The more I’m learning about collagen, not all people respond to it the same way. Monitor your body after adding it and see how you feel. Great information! I recently started consuming gelatin after being a vegetarian all my life. I’ve tried to eat meat but with no success. Recently I found out I have leaky gut… Most likely from chronic candida… and started including gelatin. I’m only at about 1/2 tablespoon, but even that gives me gas :/ it does, however seem soothing despite the gas so I will continue.